It is not uncommon for parents to get confused over when orthodontic treatment should begin for their child or teenager. Sometimes getting a couple of consults can even add to the confusion. Depending on the orthodontic issue.... overcrowding, underbite, overbite and crossbite, the best age to start depends on the need and oftentimes the opportunity of the orthodontist or dentist to take advantage of certain growth milestones or anticipated growth spurts. Some children who start too early can end up in a second phase of treatment, with braces into their preteen or teenage years despite having started at a younger age. 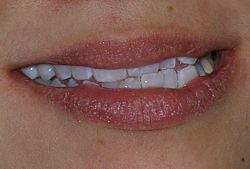 Class II malocclusion, commonly known as overbite or buck teeth, research has shown (University of Florida), is probably better to treat at a later age. Starting early can lengthen the overall treatment time and overall treatment costs. The research indicated that there was no discernable advantage to early treatments. Early treatment for other conditions, however, is recommended. 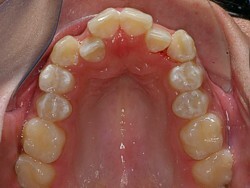 Class III malocclusion, or Underbite, is best treated at earlier ages, e.g., 7 years old, to influence ongoing growth patterns before the age of 10. The issue of having an oversized upper jaw or undersized lower jaw is the focus of attention. Class I Malocclusion is perhaps the largest treatment need for children in the U.S. The issues of protruded teeth or crooked teeth can be started at an early age, but a retreatment cycle may be needed. It has been suggested that treatment started at an early age could require up to 4 years treatment time. An initial treatment and then a retreatment a short time later. Some Class I Malocclusion problems can also involve a psychosocial component for some children. It may be best to treat severe overcrowding or protruding teeth problems early to help with adjustment issues that may arise in social environments. The incovenience of extended or future repeated treatment could be secondary to a child's normal social development. 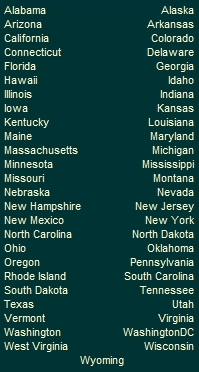 According to the American Assoc. of Orthodontists, most ortho treatment programs begin between the ages of 9 years old and 14 years old, with the average treatment plan lasting from 1 to 3 years. No definitive studies have demonstrated statistically significant correlations between length of treatment with the age at which treatment was started.